[map] [bird's eye] Approx 3 miles east of Alabama 69, off CR-38 (Blue Creek Road) in Tuscaloosa County. Near the Tuscaloosa tall tower. [Picture] Legal ID snapshot showing the current ident under Howard Stirk Holdings, October 2015. WCFT began broadcasting on October 27, 1965. Originally, Tuscaloosa was part of the Birmingham market and WCFT was the first from Tuscaloosa to broadcast. The station began with no affiliation, but after years of little return for their investment, the station was sold to Service Broadcasters of Hattisburg in 1967. After the purchase WCFT was granted permission to air CBS programming even though Birmingham's channel 42 was the DMA affiliate. In 1970, the station became a full network affiliate. In the early 80's the station began doing better in the news area and by 1987 Arbitron made Tuscaloosa it's own market. WCFT was sold to Albritton Communications in 1995 to become part of Birmingham's unique new ABC affiliate. WBMA, a low power station is official Birmingham's ABC affiliate. WCFT, along with Anniston station WJSU served as "satellites" to rebroadcast ABC all over central Alabama. WBMA began digital broadcasts in the winter or spring of 2011. In the summer of 2014 the FCC approved the merger of Allbritton with Sinclair Television Group, who were originally to shut the station down as part of a merger agreement with the FCC. The station was supposed to shut down, according to FCC documentation, on 30 September 2014 but it remained on the air past that date by at least a day; later it was reported on air but with no picture on any of the subchannels. Various media publications soon reported a last minute deal between Sinclair and minority-backed Howard Stirk Holdings to buy WCFT for just $50,000. The license transfer was completed in late November or early December 2014, and the station began relaying the Heartland TV network, same as WJSU, which Stirk also bought. For a long time after the station "moved" to Birmingham, the original WCFT tower continued to stand just off I-20/59 near the Skyland Blvd. exit, and was used for ABC 33/40's Tuscaloosa tower camera until the tower was sold off for scrap in late 2012 or early 2013. WCFT elected to keep analog broadcasts on until the new June 12th deadline. 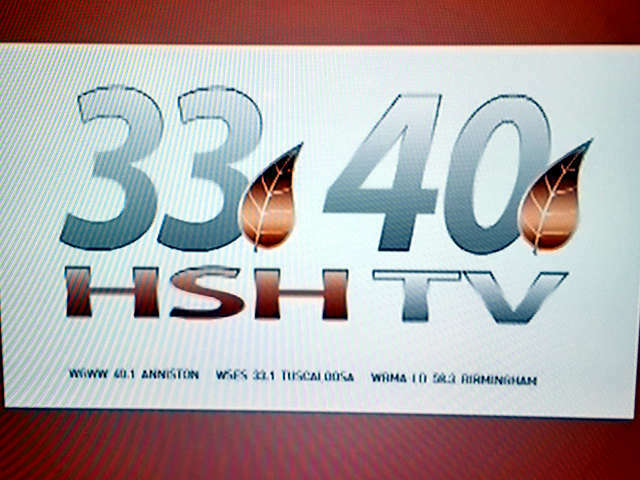 Due to reception issues in the Birmingham area, the station moved back to RF channel 33 in late October, 2009. At the start of November 2012 the station began carrying the new Nashville Network on their .3 digital subchannel. On March 11, 2015, the station changed from its original call sign of WCFT to WSES. Although it didn't debut on 1 October as promised, the station did eventually drop Heartland for Heroes and Icons in early October 2015. In January 2016 it was discovered that the TV network known as Decades was planning to be added to the -.2 subchannel at some unknown point in the future, and it showed up on the Decades TV website early in 2016. Decades disappeared before the end of the year, leaving on Heroes and Icons available in December 2016. As part of the FCC spectrum repacking processing, this station received a permit in mid-July to relocate from RF channel 33 to 36, with no other real technical changes aside from a small bump in power. The station added Start TV to the —.3 subchannel in the winter of 2019.